Listen to what gets people talking, analyze the news, reveal insights, see the upcoming trends, make your voice heard, and drive your business to success. 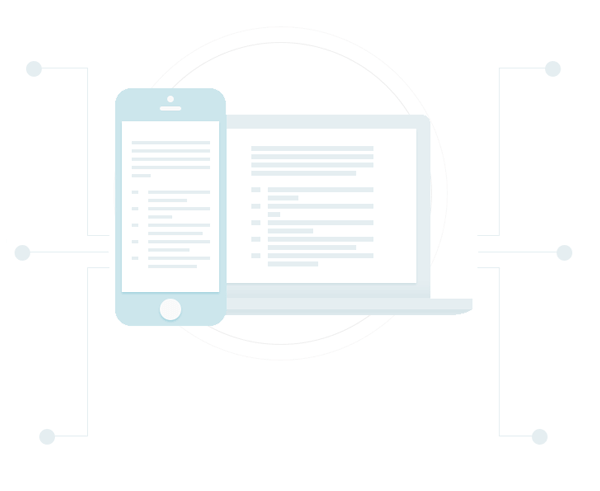 From data acquisition to publishing, solve all your needs in one platform. Real-time web and social media monitoring, measurement, analysis and insights for brands! BoomSonar Suite is the ultimate web & social media business platform. Monitor websites and social media in real-time, analyze results, and reach to the unlimited potential of big data. Use your social media accounts effectively, tell your story, create a conversation, and measure the results. Interact with your customers as a team, answer their questions, solve problems, and keep them happy! Analyze the threats to your online reputation, take down fake accounts, track SEO rankings. Prepare benchmarks with powerful social media analytics data of your brand, competitors & industry. Create stunning interactive dashboards, see the trends, analyze the results, and find actionable insights. Gain deeper insights, find sales opportunities, create business value with machine learning. 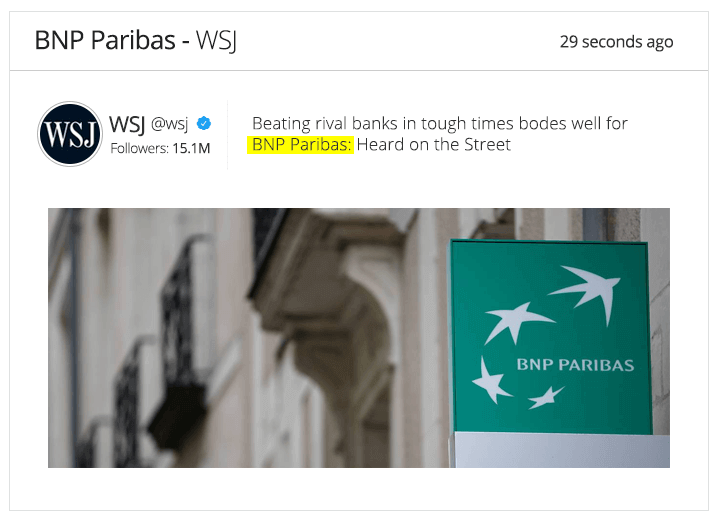 Connect your data to any third-party platform, integrate web & social media data to your tools. Tell your story easily with 1-to-1 previews, post scheduling, and multi-channel posting. 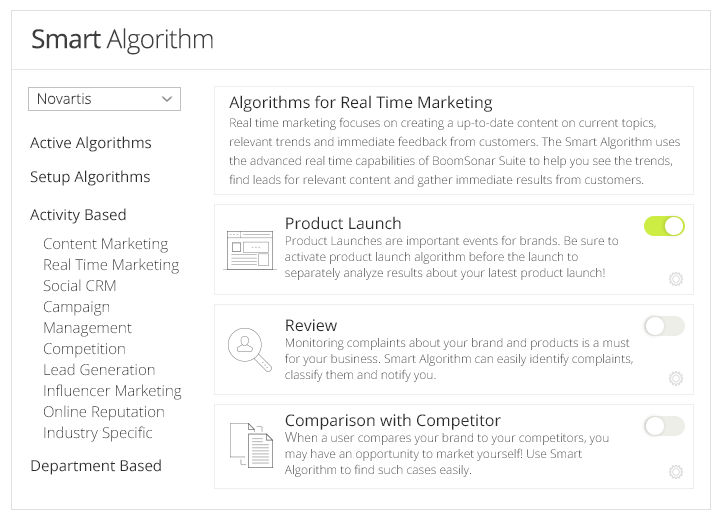 Smart Algorithm is a fully autonomous machine learning system that provides instant analysis of your results, creates context-aware smart insights, and provides guidance for the best action. 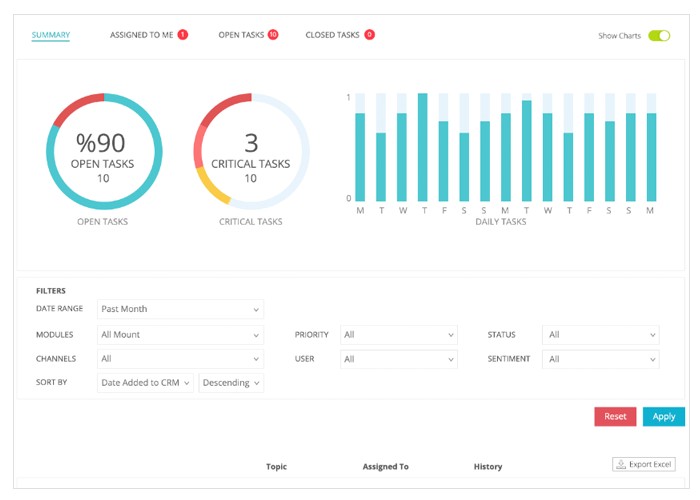 From sales to human resources, content marketing to lead generation, get actionable insights for your departments and activities with machine learning, and take automated action within seconds when a result is detected. Just select your keyword, activate the algorithm you need, and let the Smart Algorithm artificial intelligence system analyze your results, give insights, provide suggestions, and take action in real time! Visualize your campaigns with the Newshub, take real time action with BoomStream, or analyze your results with the Dashboard. You can gather real-time insights, measure the buzz, and analyze the web & social media monitoring results with over 300 different customizable and interactive charts, graphs, and tables in three mission-focused platforms. Big data visualization for social media monitoring has never been this easy! 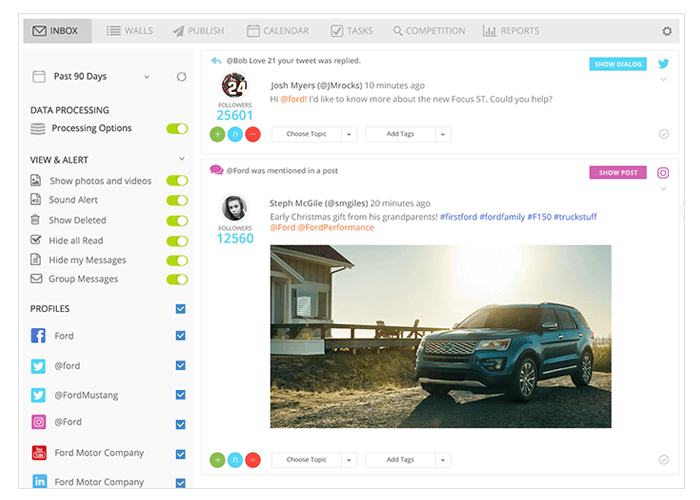 Manage all of your social media accounts in a single platform, reach and reply to fan comments and messages with the unified inbox; create, schedule, and publish engaging stories, prepare as many dashboards and custom reports as you need, and increase customer loyalty through social media! The most efficient social media management platform for your brand! You don’t need to work with different tools, different report formats, or different tool sets anymore! From monitoring to reputation management, Social Customer Relationship Management is completely integrated in every part of BoomSonar Suite! Gather all online data in a single platform, employ social media as a customer service channel, engage with users, solve problems, easily integrate to 3rd party platforms, and create a healthy relationship with your customers! From fashion blogs to global press, government websites to enthusiast forums; get extended data for every result! Analyze location, site category, BoomRank, website descriptions, gender, demographic information, interests, and more! 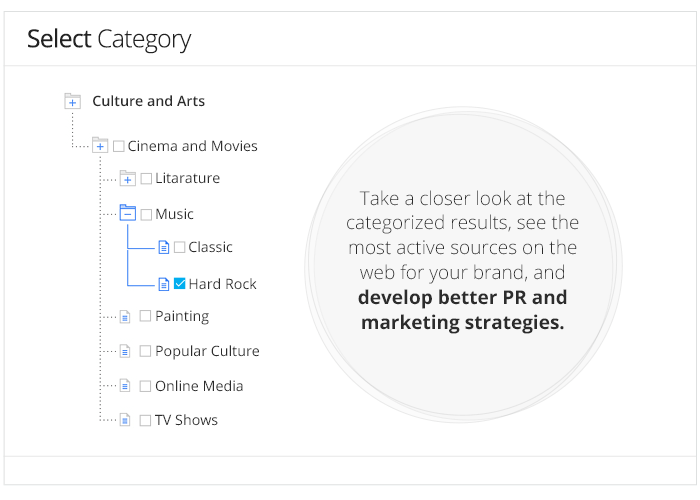 The unique website categorization enhances your data and helps you break down your web results in over 2.000 categories in a deep, hierarchical category tree. Reach to social media insights that provide detailed information. BoomSonar Suite has all the online reputation management tools you will ever need to manage a brand around the clock. Get smart web and social media alerts. Use ready-made BoomSonar lists for influencers, journalists, celebrities, bloggers and more. Create custom filters and chain-rules for every possible scenario. Receive crisis alarms, important events, and the trends. Protect your brand, in real-time, 24/7! 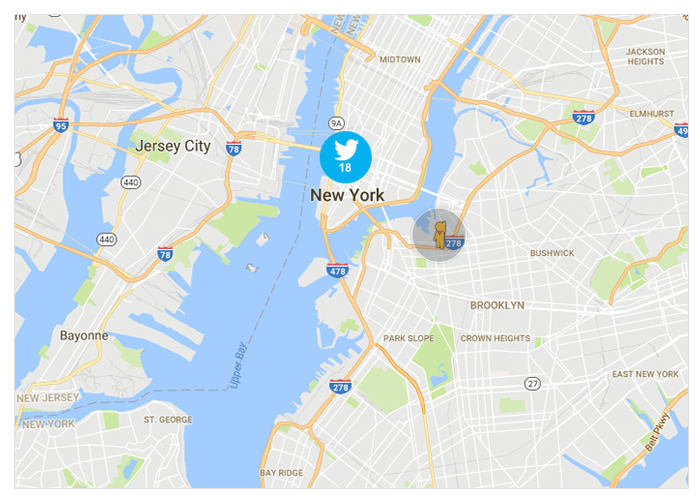 We provide the best location based web and social media monitoring! Local news, blogs, forums, and location-based social networks are not easy to monitor; but we love challenges! 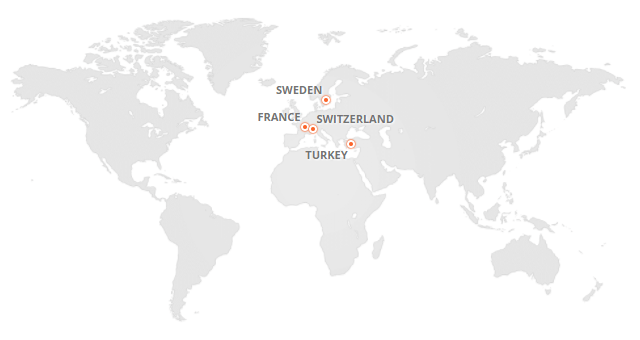 With the geographical breakdown of the content sources and localized results, BoomSonar Suite provides detailed real-time insights about national, regional, and local coverage of every news story, hot topic, debate, and trend. Monitor where the online activity is happening, and further develop your geo-targeted marketing campaigns. Want to learn more? Call our team!